Homestead was designed for a modern way of life, from the state-of-the-art amenities to the progressive home designs. Homestead’s home builders know exactly what today’s buyers are looking for and incorporate innovative features into each home they build. From flex spaces to unique personalization options, Homestead’s builders offer the hottest in new home trends. As one of Central Texas’ premier home builders, Scott Felder Homes has earned the “Builder of the Year” award for its contemporary designs every year since 2012. Scott Felder Homes prides itself on understanding the desires of today’s homebuyers and fulfilling their needs through the entire homebuying process. Homes by Scott Felder Homes offer a wide variety of personalization options so you can customize your home for the way you live. Include a tandem or three-car garage for plenty of space to store your ATV, kayaks, skis and other gear. Expand the master suite to accommodate your very own secluded sitting area, and opt for a bay window to bathe the room in natural light. Extend the covered patio for extra outdoor living space, and include a built-in grill to host the best backyard barbecues on the block. With more than 65 years of building experience, Pulte Homes strives to exceed homeowner expectations through every step of the homebuying process. Their innovative Life Tested® home designs and meticulous attention to detail ensures that every home is perfectly suited to today’s families. 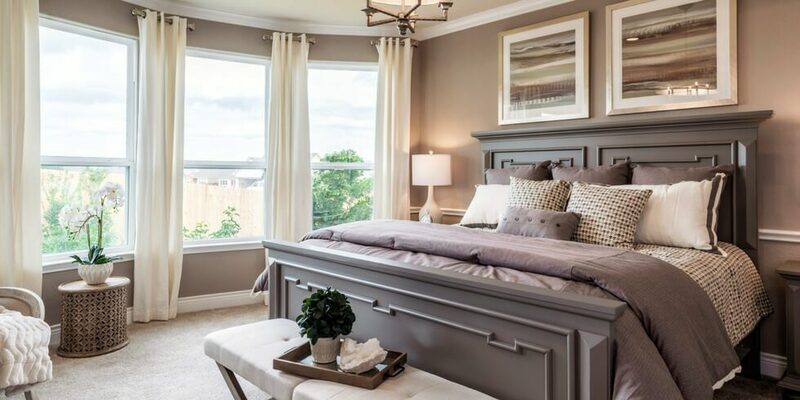 Nearly every home by Pulte Homes at Homestead includes a flex space that allows you to adjust how you use your space based on your family’s needs. Need room for your hobbies? Turn your flex space into a craft room or library. Need room for the little ones? It’s the perfect spot for a nursery for a growing family or a play room to keep the kids’ mess out of sight. And when the kids are grown, it can transform into an office, home theater or anything else your family may need, giving you some much-desired flexibility. CastleRock Communities prides itself on providing families with the foundation they need to flourish. Their dedicated staff walks you through the entire homebuying process so no matter whether it’s your first home or fifth, you can stay informed, involved and comfortable knowing your home is in great hands. If energy efficiency is a big concern, then a home by CastleRock Communities might be the answer. CastleRock Communities’ “Energy Plus” program ensures that each home exceeds code requirements for efficiency and goes through a rigorous testing and inspection process. Features like a programmable thermostat, energy-efficient windows, high-efficiency central gas heating, and a gas-fired water heater are just a few of the things that mean your home will have less impact on the environment, giving you peace of mind and saving you money in the long run. Interested in learning more about the modern home designs and lifestyle at Homestead? Join our Founders Club to always stay up-to-date on Homestead news.